The new extendable “water jump” Flexi River is a tool made to train horses and riders to go over liverpools and water jumps. Most of the time, this situation is due to a lack of training. 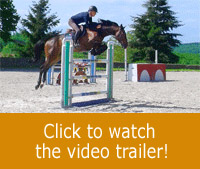 This new tool was specifically designed to familiarise progressively the horse and the rider to this kind of “spooky” jump. 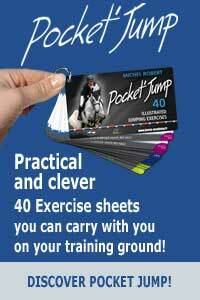 It proves to be very useful for young horses and riders. Built with 2 foam poles Flexy Jump, and a highly-resistant bright blue tarp which can be unrolled, this new water jump will allow both horse and rider to gain confidence progressively.